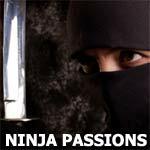 The Book of Ninja, the ultimate ninjutsu manual, was penned in 1676 by a ninja known as Fujibayashi. Born in the post-civil war era of Japan, Fujibayashi collected and combined information from the ninja clans of Iga - regarded to be the homeland of the ninja - and compiled it into an authoritative book. Known as The Bansenshukai, this book has now been translated into English by the Historical Ninjutsu Research Team. The Book of Ninja begins with an in-depth introduction to the history of the times. The heart of the text takes us into the secrets of guerilla warfare and espionage. We learn spycraft, mission planning, concealment tactics, and infiltration techniques. We put on the mindset of a warrior. And those wishing to attain the highest levels of ninjutsu can discover how to kidnap enemies, perform night raids, make secret codes, and utilize the Ninja's system of divination. The Book of the Ninja is the final say in the world of the ninja and the ultimate classic for samurai and ninja enthusiasts alike. Did Ninjas really wear black? Read the Book of Ninja to find out.